Direct Residential are proud to be bringing to the market this stunning two double bedroom apartment with two bathrooms. 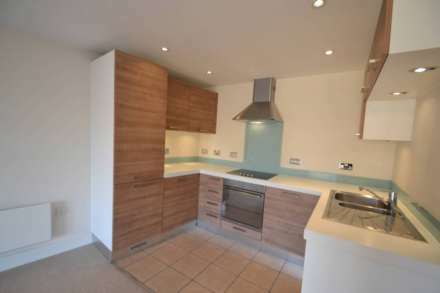 The property comprises of a perfectly formed modern open plan kitchen and huge reception space. The reception room has French door leading out to the private roof top terrace which would be perfect for entertaining with the warmer months fast approaching. The kitchen is full fitted throughout and has a modern finish. The master bedroom is a good sized double complete with fitted wardrobes and finished with a modern en-suite shower room. The second bedroom is a generously sized double also with fitted wardrobes. This apartment is one of the largest in the development and has been taken great care of. The property further benefits from a secure underground parking space. Available unfurnished from 6th June 2019.